deodorant socks?? What the fantastic products!!! 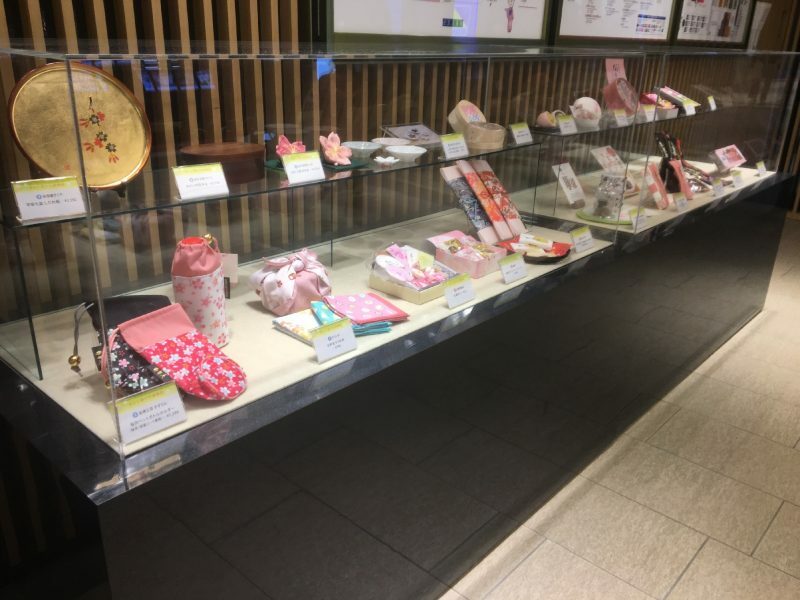 #kanazawa #ishikawa #japan #hyakubangai #gift #survenir #socks #fivetoesocks #kanazawastation #kutsushitaya #shopping #金沢 #金澤 #石川 They contain catechins witch are effective to deodorization. We hold a craft workshop for foreign tourists, again. 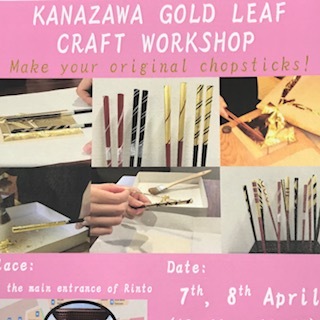 You can make a pair of original chopsticks with Gold leaf. about 200 people have participated this event! Why don't you make your original chopsticks for memory of your trip? We hope you have a great experience in Rinto! 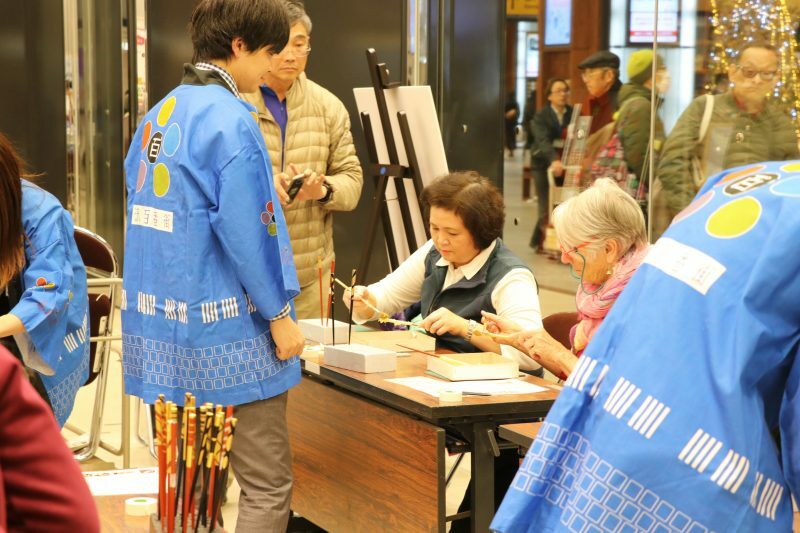 We hold a Japanese Sake workshops for foreign tourists at the main entrance of Rinto! 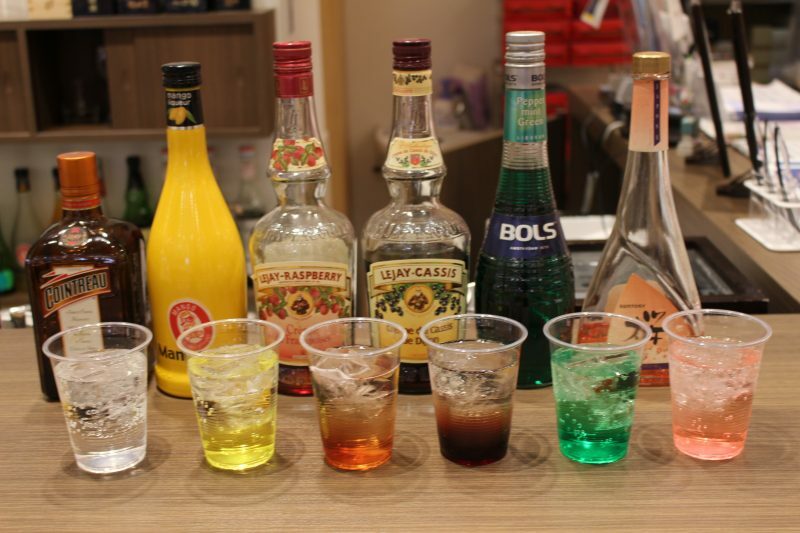 Choose a favorite liquor from six types of liquor and mix it with Sake. 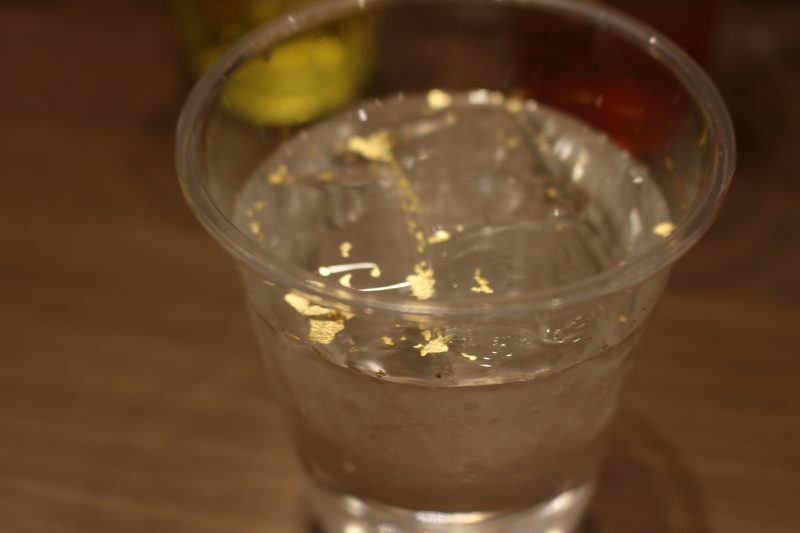 We prepare edible gold leafs, so taste your original cocktail with them. 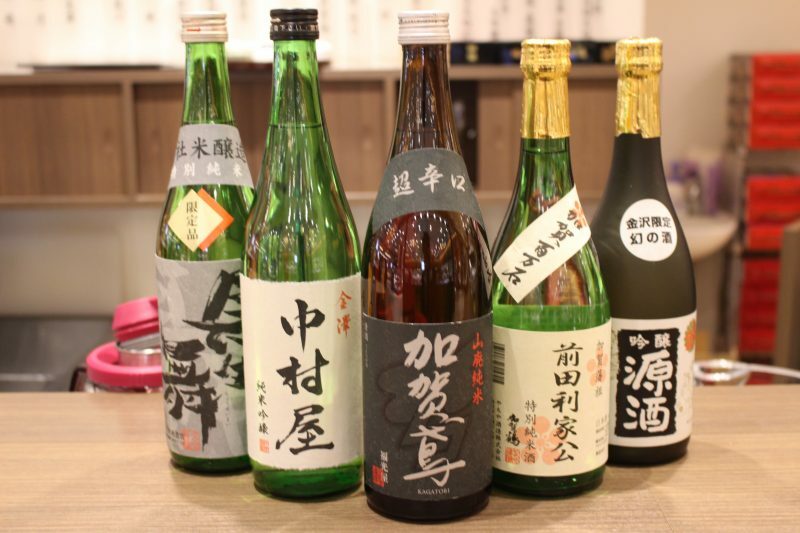 Choose three kinds of Sake and taste them. We prepare some snacks only for customers who join Sake tasting. Both process times are also 10 minuts. The workshops are for two days: 17th, 18th February. You can join the workshops during 13 to 17 o'clock whenever you want. And the cost is 500yen for a workshop. If you have any questions, please send an e-mail to info@100bangai.co.jp, or comment on this page. We introduce you two kind of popular liqueur today. One of them is bottle of liqueur with gold leaf. 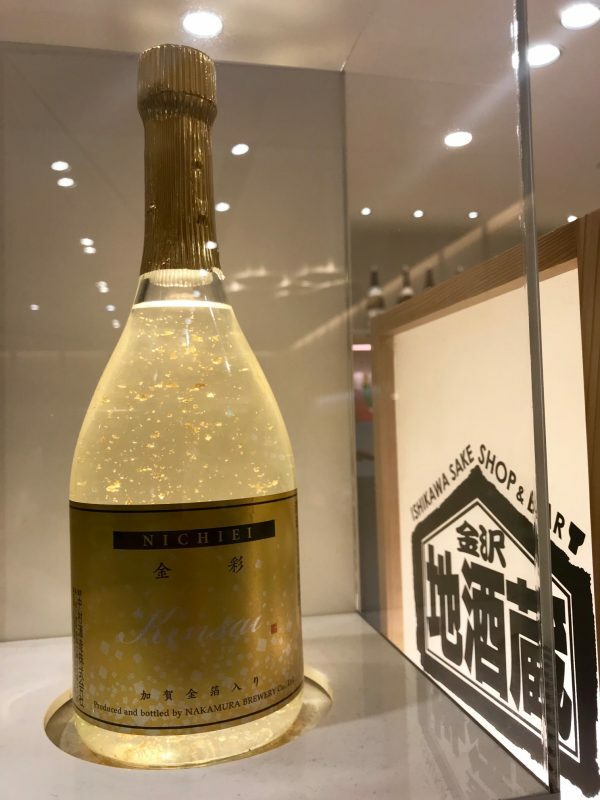 Kanazawa is a famous city of gold leaf, so the culture of Kanazawa is reflected in this liqueur. The other one is plum liqueur. The liqueur is popular with foreignres. 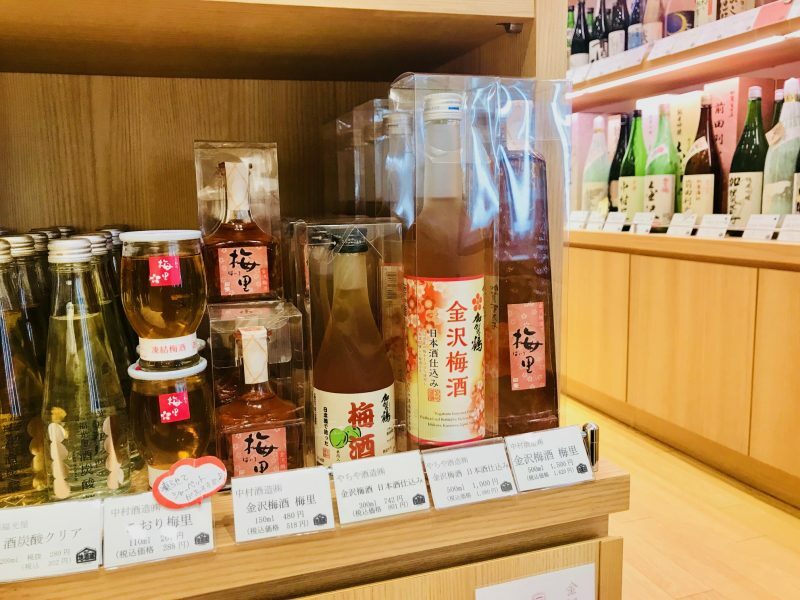 These liqueur are treated at Kanazawa Jizake-gura in Anto. The best season of for fish, shells and crabs has arrived! We introduce you a dish which you can enjoy the fish and shellfish at the same time. 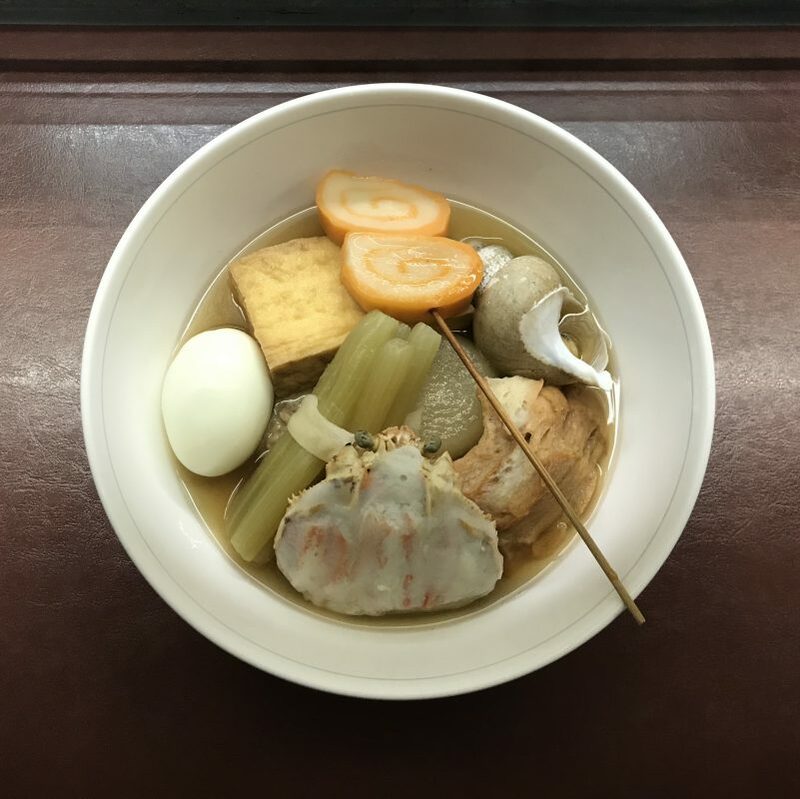 The dish, called "Oden", is a Japanese one pot winter dish consisting of several ingredients such as japanese radish, boiled egg and so on. Kanazawa-Oden is not too much to say that the most famous Oden in Japan. You can eat the delicious dish at 2 oden restaurants with a long-history, "Kuroyuri" and "Yamasan" in Anto. Crab is particularly recommended in December. 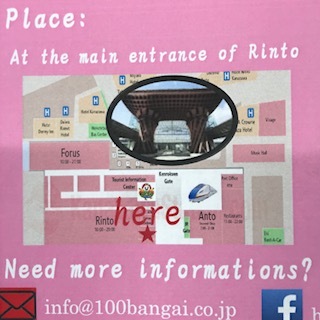 We hold craft workshops for foreign tourists at the main entrance of Rinto! 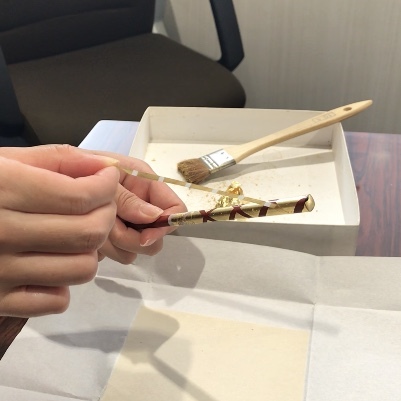 You can make a pair of original chopsticks with Gold leaf only for 20 minutes. The workshops are for two days: 18th, 19th November. You can join it during 10 to 18 o'clock whenever you want. A mascot for Ishikawa prefecture "Hyakuman-san" has made a debut in Anto! Don't forget to come and see a pretty character, Hyakuman-san in Anto! We introduce you an extremely rich special pruduct of Ishikawa prefecture. The fruit, Ruby-Roman grape, has been knocked down for $10,000 per a bunch in 2016. The features of the most expensive variety grape are the sweetness and the size. The size is as big as a ping-pong ball! 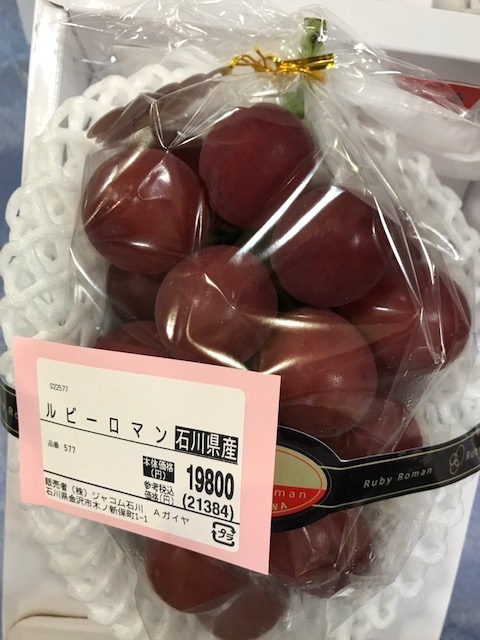 You can buy the sweetness grapes at shops in Kanazawa station, "A-gaiya" and "Horita", and the price is 500yen per a drop. * Ruby-Roman grape is a seasonal product. Untill the end of September, the grape is on sale. 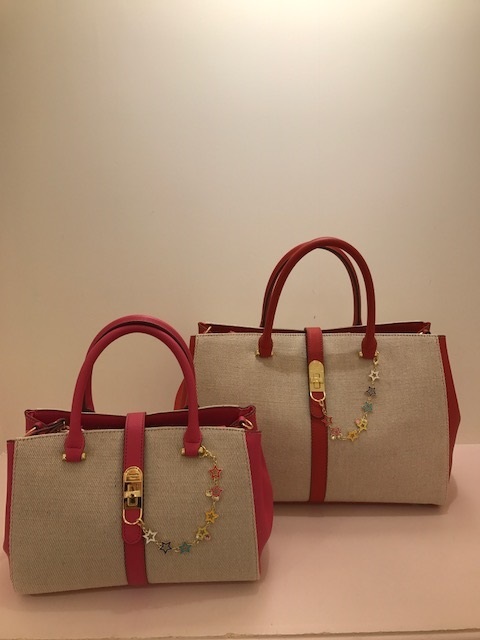 I found a sweet bags at "Samantha Vega" ! Various charms are also in the shop. The construction of あんと西(anto-nishi) has almost finished! 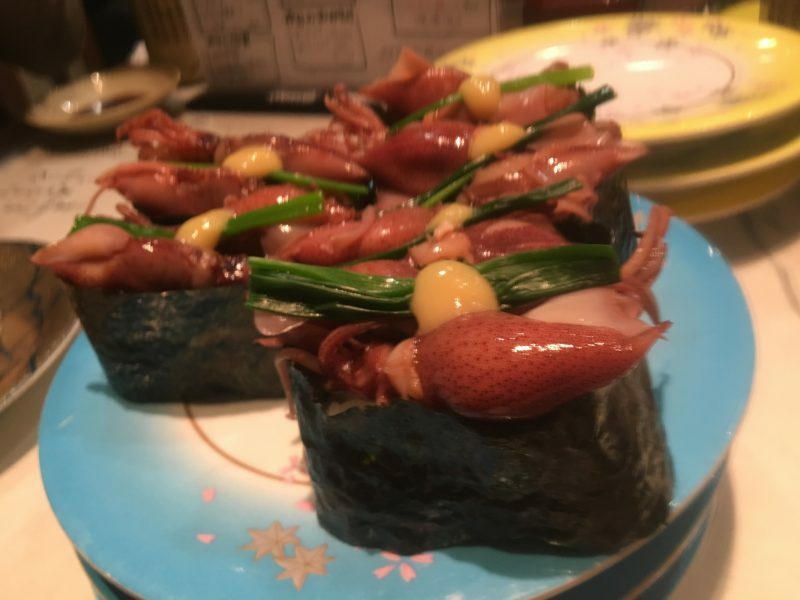 The season of firefly squid (another name: Toyama squid) is just now!!! 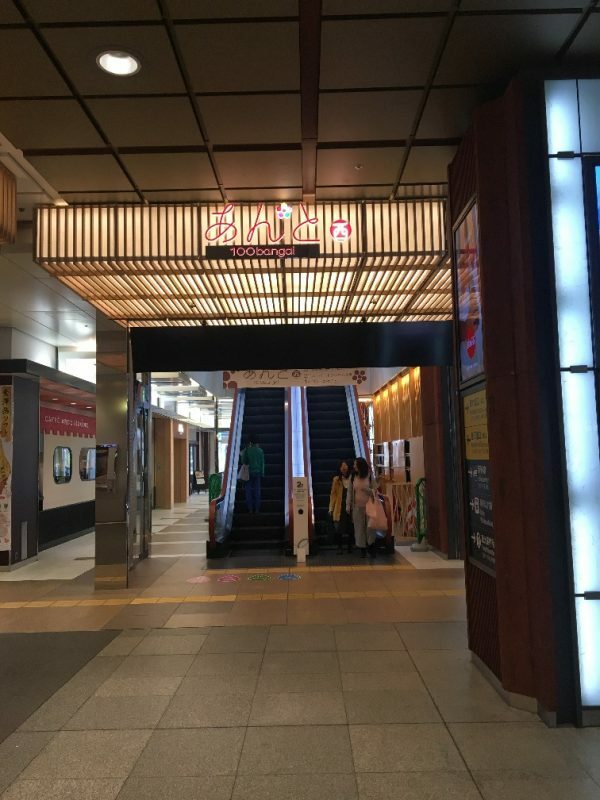 The place of すし玉 (Sushitama, conbeyor belt sushi) is on the 2nd floor of "あんと西". 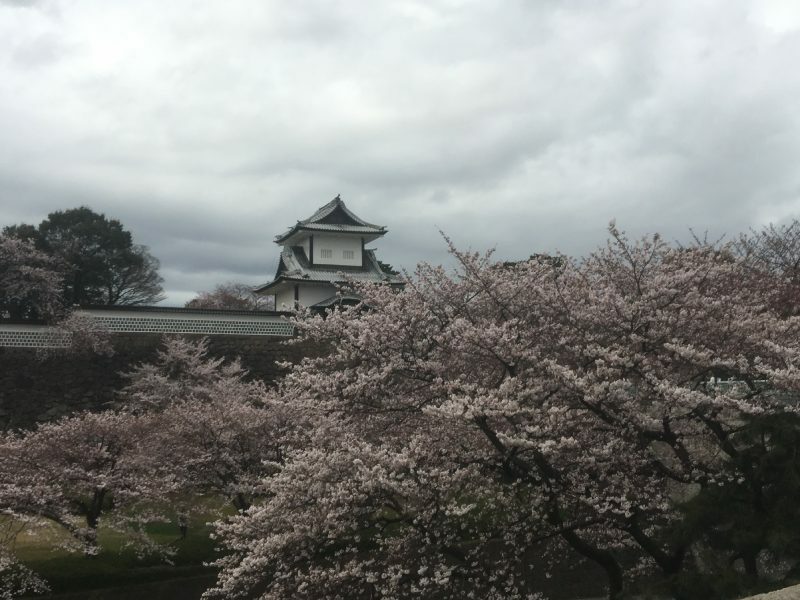 The cherry trees are almost in full bloom in Kanazawa! Now people can admit to one of a popular place of viewing Kenrokuen for free. Spring sweets and goods are now displaying at the north entrance of Anto by the way. Have some sweets on a special day! ひなまつり（Doll's day） is celeblated each year on March 3. in Japan. Families who have daughters display dolls in traditional court dress of the Heian period. On this day, people eat bite-sized crackers flavored with sugar or soy sauce, which named Hina-arare. 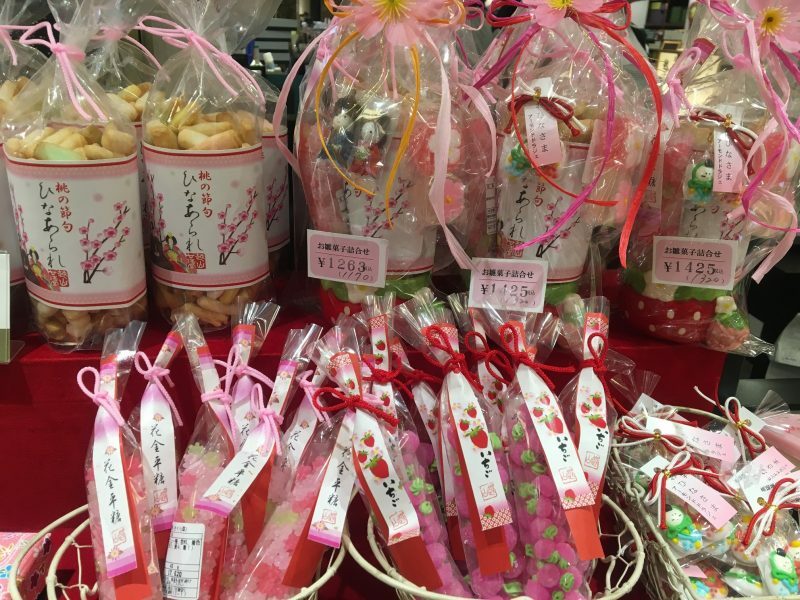 You can buy Hina-arare and sweets for Doll's day in a variety of shops of 百番街. Find your favorite one! A variety of sizes of lockers are available for rent at Hyakubangai. They are self-serve and ACCEPT ONLY CASH AND IC-CARD (used as a fare card on train lines in Japan). Welcome to the page of 金沢百番街(Kanazawa Hyakubangai)! 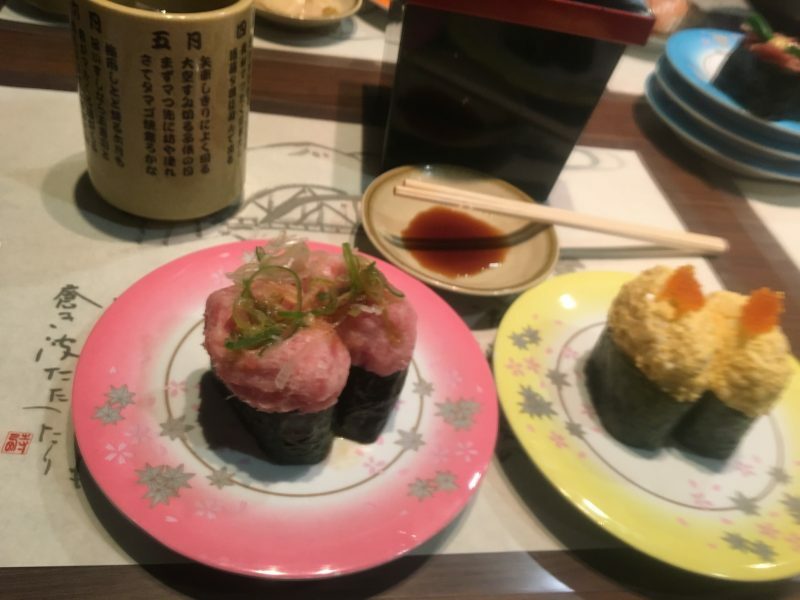 With 130 shops, 32 places to eat, and 10 services in Kanazawa Hyakubangai, located inside Kanazawa Station. Kanazawa Hyakubangai has three varieties of areas. 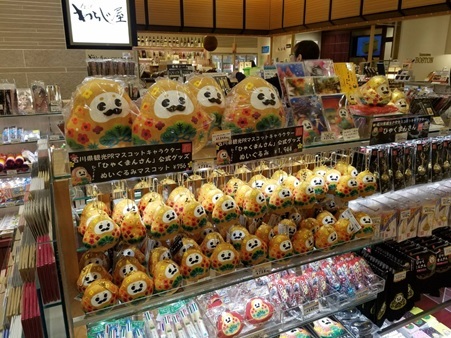 At one of the areas, named "あんと(Anto)", you could enjoy buying craftworks and confectionery of Kanazawa and other Hokuriku region, and eating local dishes. 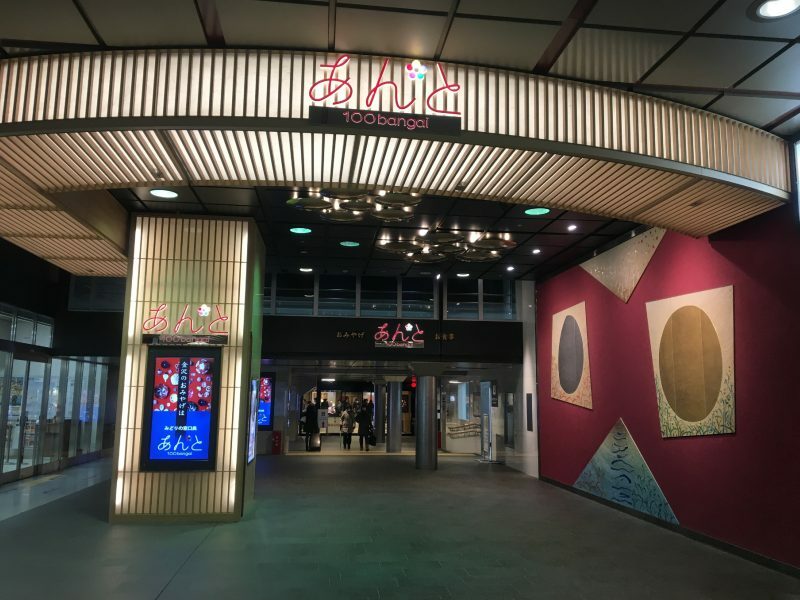 "Rinto", located front of the ticket gates of Shinkansen, features current cosmetic shops, fashion stores and cafes. "くつろぎ館(Kutsurogi-Kan), the four-storied building, has everything you need! Note:PiTaPa cards are not accepted at this time. You can use electronic cash cards at Rinto! Note:Not supported at Anto or Anto-nishi.